CanadaOnCanvas.com: Ideas Corner Feature from Vancouver: Wedding Instagram Booth! Ideas Corner Feature from Vancouver: Wedding Instagram Booth! 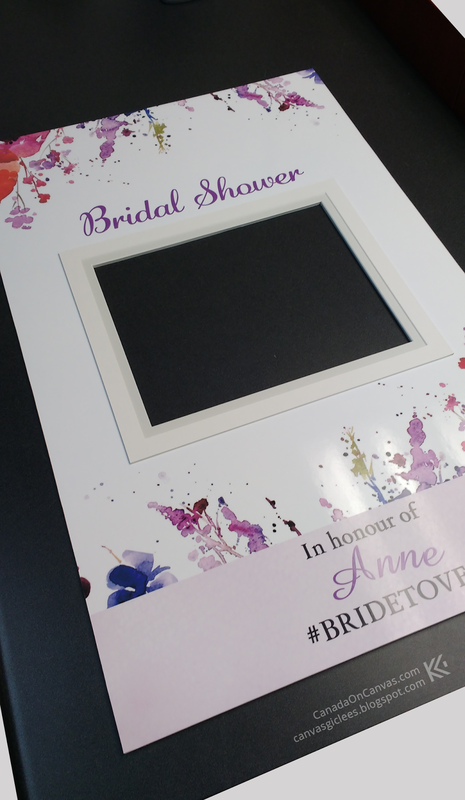 By drymounting the client's already printed poster onto white foamcore, then reinforcing the cut window with extra matboards, the team was able to create a sturdy photo "frame". Participants could pose behind it (the window can fit up to 3 faces) and a camera snaps the cute polaroid! Wish we could've seen it used in person, we loved this idea! Got any creative mounting ideas for us? Let us know in the comments below! Want to order one for your bridal shower? Let us know and we'll do the same! KeenArt Media specializes in customized canvas and fine art printing and reproduction. We also offer services in dry mounting, plaque mounting, and plexi-face mounting. 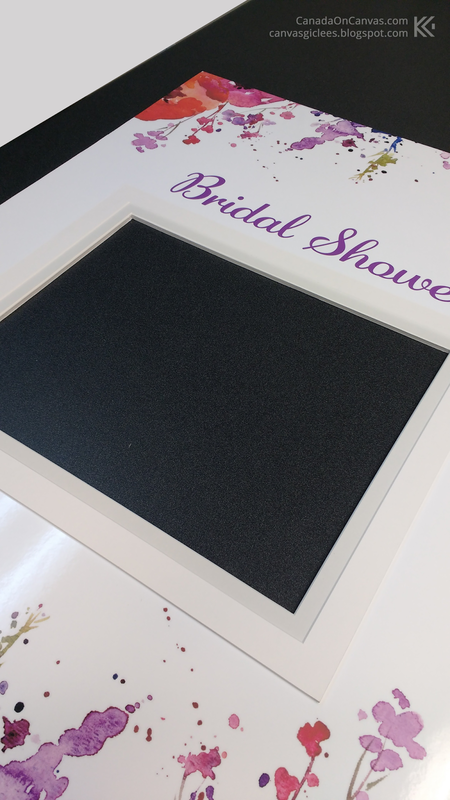 We also do custom cut boards in various materials, such as foamcore, plexi, aluminum and matboard. Check out our website or contact us for details for custom orders such as today's feature. StockPhotoSet #4 - Summer Foods!